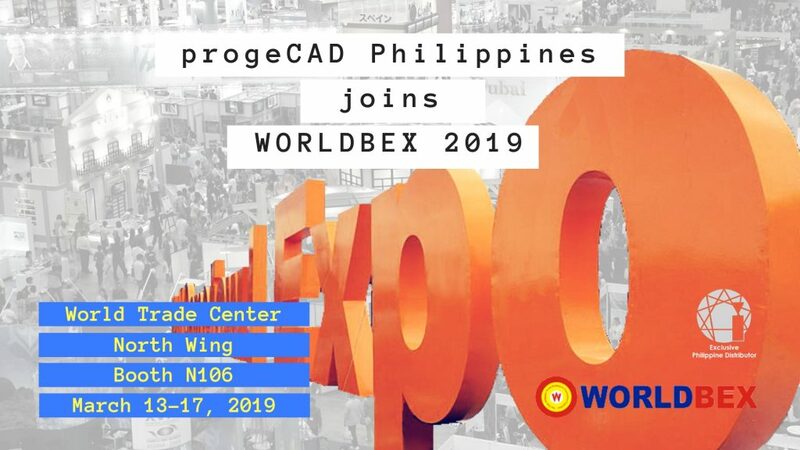 progeCAD Philippines will be participating in the Philippine World Building and Construction Expo, a highly-anticipated trade event in the Philippines, on March 13-17, 2019 in World Trade Center Metro Manila SMX Convention Center Manila. The Philippine team will be demonstrating progeCAD 2019 to all visitors interested in the CAD software highlighting the advantages of progeCAD as an economic alternative to AutoCAD. The ProgeSOFT partner will also be offering hands-on practice of the software and, as always, a lot of surprises, freebies and discounts for those wishing to purchase software licenses on site. Drop by to visit progeCAD Philippines at Booth N106, North Wing, World Trade Center. 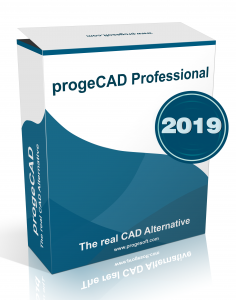 ProgeCAD 2019 Professional is finally here! The progeCAD 2019 version is more refined than ever with its enhanced performance and numerous new 3D formats support like STEP and IGES, improved User Interface and 4K display optimization, new Civil 3D DTM features, print without margins, automated numbered markers and a series of new Express Tools. Watch the new version Video presentation. The new major release is powerful, versatile, offered as always with perpetual licensing, and, thanks to the DWG-native format, similar commands, options and familiar looks, fully capable of replacing the AutoCAD® platform. 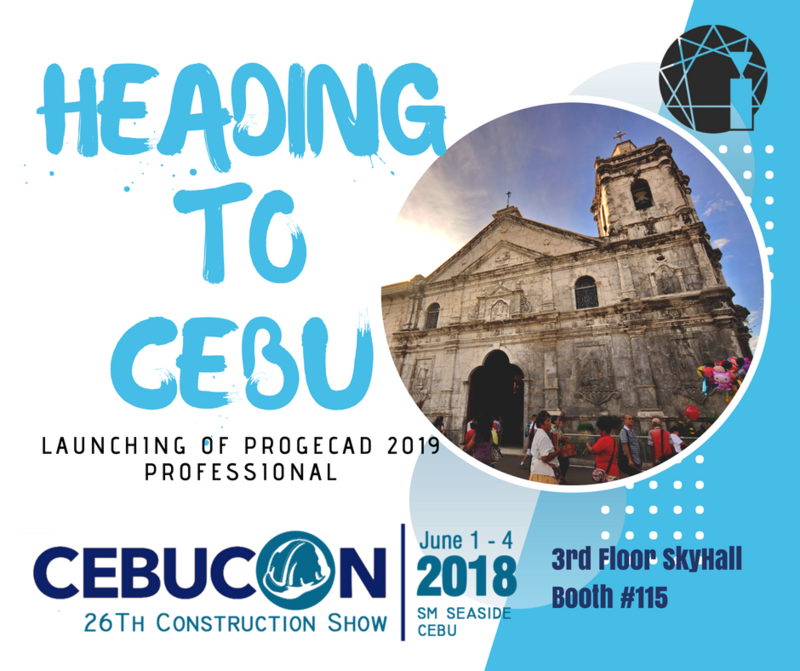 progeCAD Philippines is joining the biggest annual building and construction exhibit in the Southern Philippines, CEBUCON 2018, held in the Philippines, Cebu on June 1-4, 2018. If you are in the Philippines’ Cebu or close by, if you are a CAD professional or hobbyist, don’t miss out on this event, come and visit the progeCAD stand at the SM Seaside 3rd Floor Skyhall, Booth 115 from 10:00 AM to 8:00 PM. The progeCAD Philippines team will be providing a Demo to the new progeCAD 2019 Professional to all CEBUCON’s interested attendees. The biggest discount plus the free upgrade promo to progeCAD 2019 professional are awaiting all onsite purchasers. The new major release is looming on the horizon and we are about to launch the countdown to the release date. There are already teasers posted online by our partners worldwide in connection with this upcoming exciting event where they are revealing some details about the new progeCAD 2019 version.